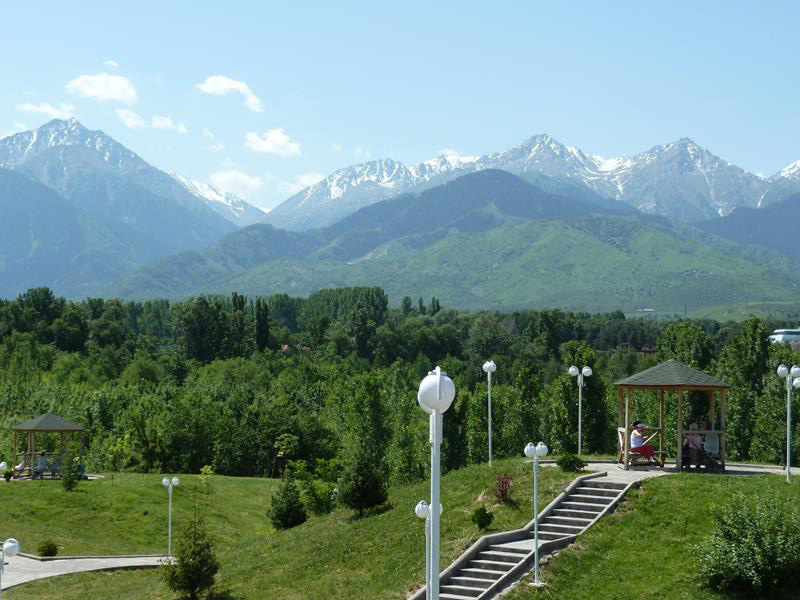 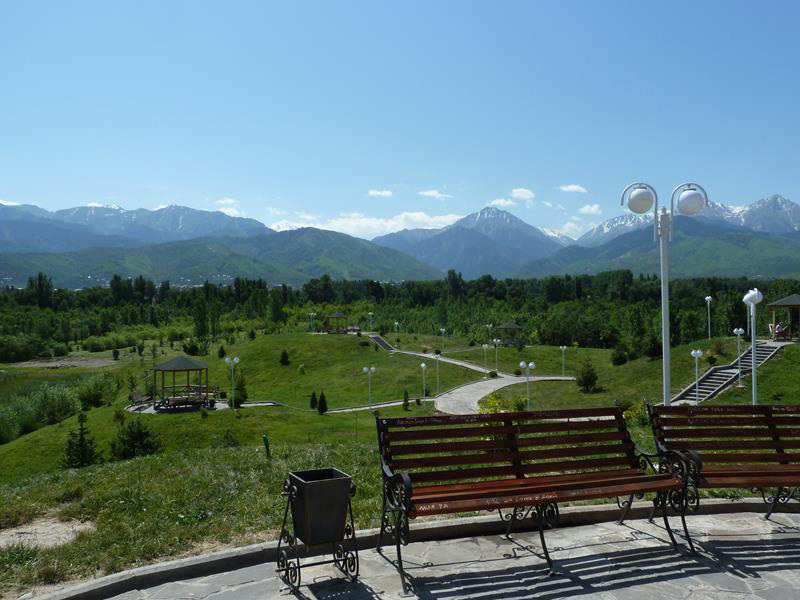 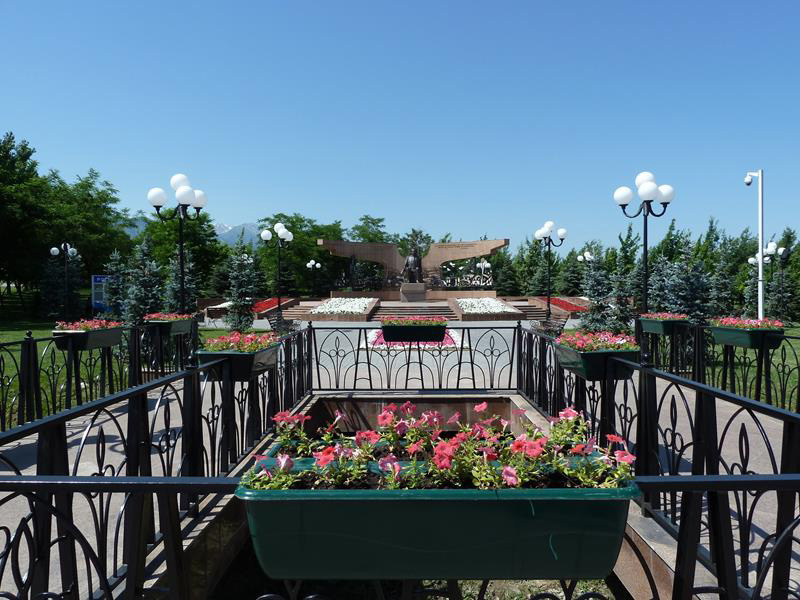 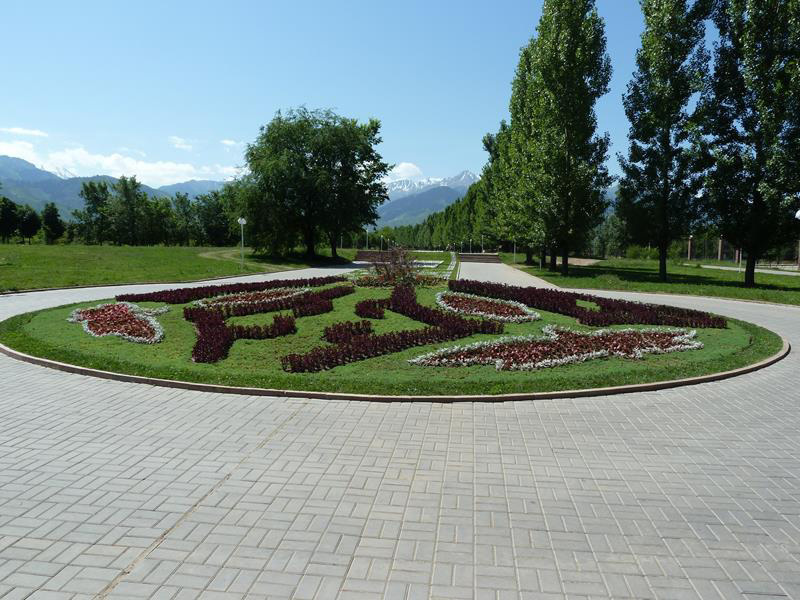 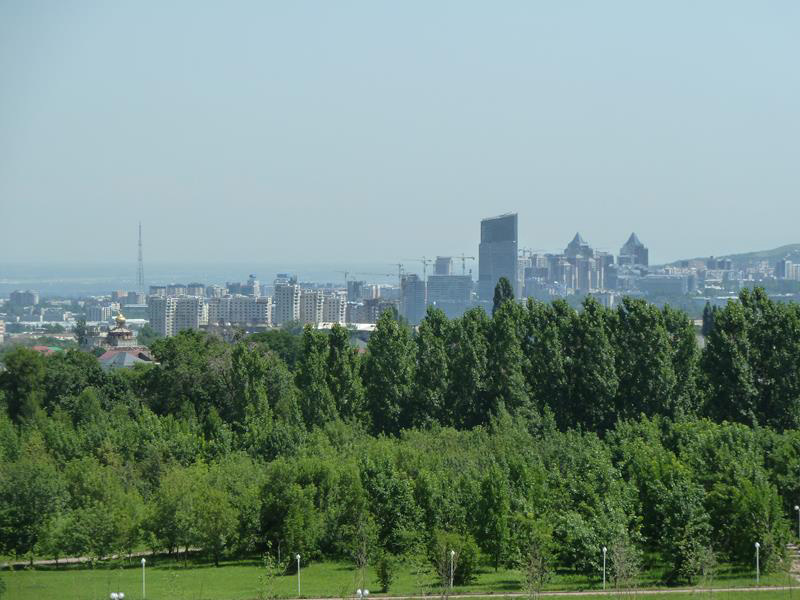 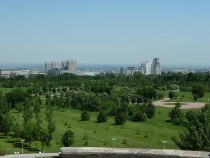 The Park is located in the southern part of Almaty and has a spectacular mountain backdrop. The park is the home of the annual music festival called “Almaty – my first love”. 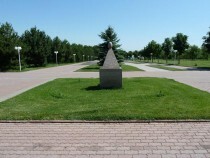 The concert is held in front of the semicircular colonnade shown in the images. 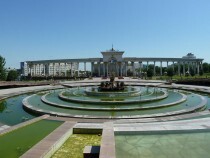 The amphitheatre atmosphere is highlighted by the fountains and water features to the rear. The park is about 1.5 km from one end to the other with trees and habitats interspersed with features. 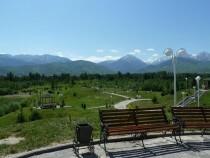 At the southern end of the park there is a viewing and seating area, with small shelters on raised mounds. 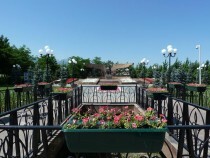 There are no shops in the park, so you should take drinks etc. 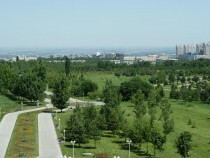 with you, particularly on hot days. Most of the tree planting is quite new, so little shelter against the sun when walking around the long curved pathways. 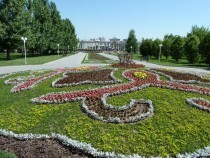 Superb flower beds and plantings. 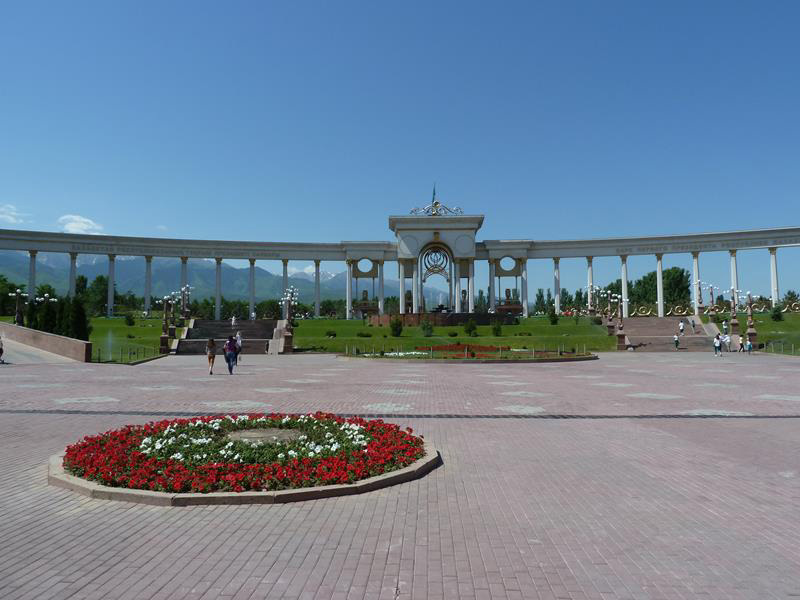 No admission charge and entrance only through the colonnade at the north end of the park. 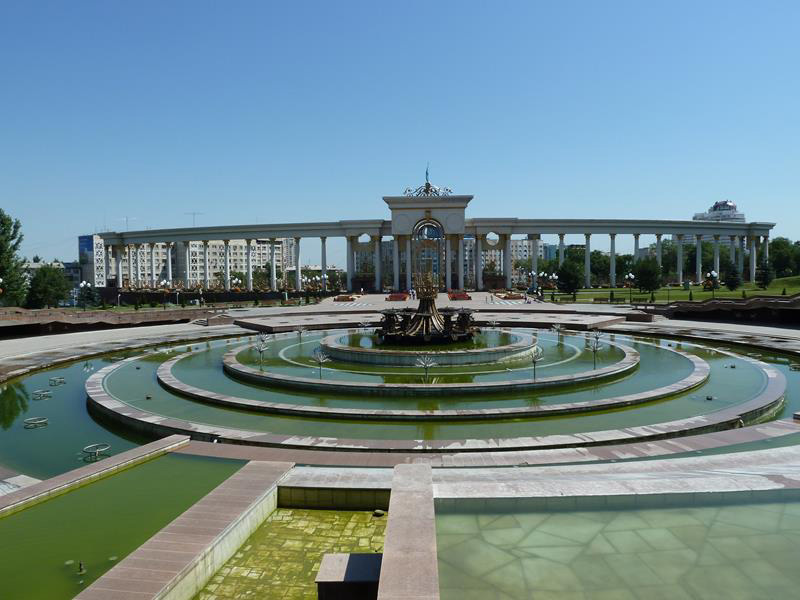 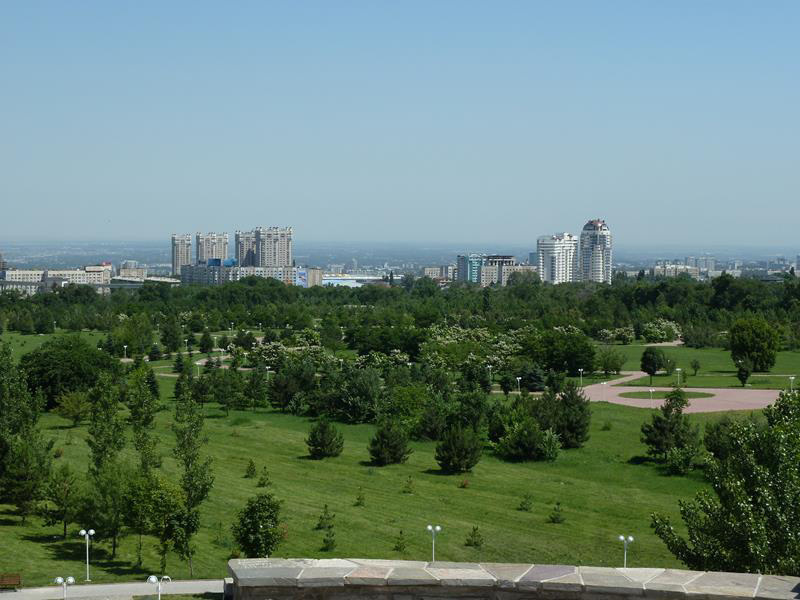 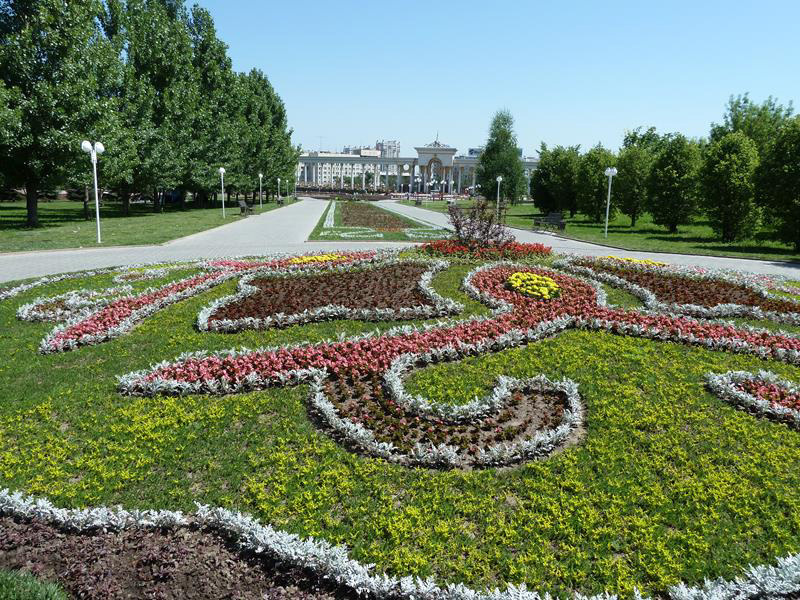 The park was opened in November 2011 in respect to the First President of Kazakhstan Nursultan Nazarbayev and was then opened to the general public.